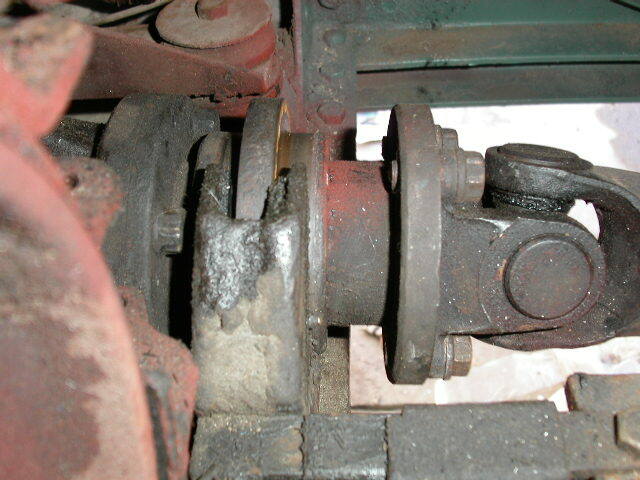 Photos of the Brake Lock and Driveshaft De-Clutch for a Maintenance Truck. If you have questions about any of these photos, send me an email and I'll try to provide an answer or will pass them on to the owner of the truck. 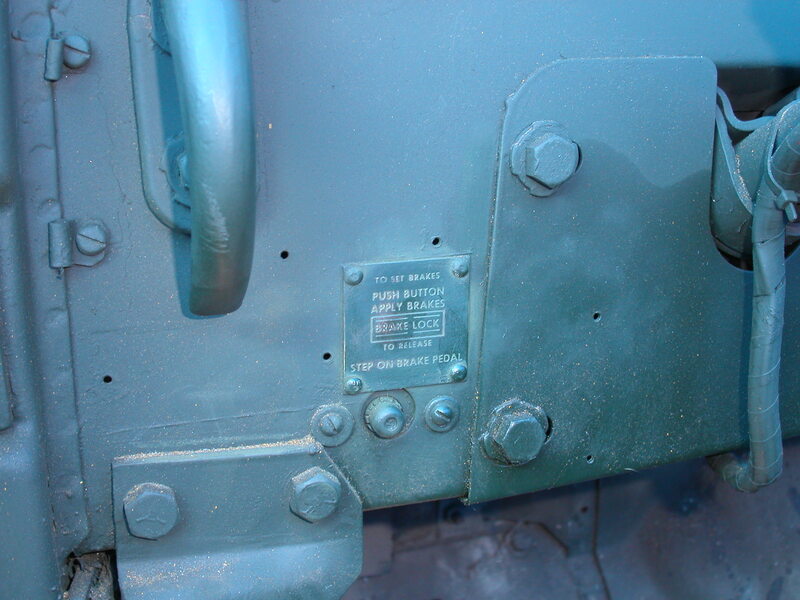 Photo 1 Brake lock activation switch and data plate. 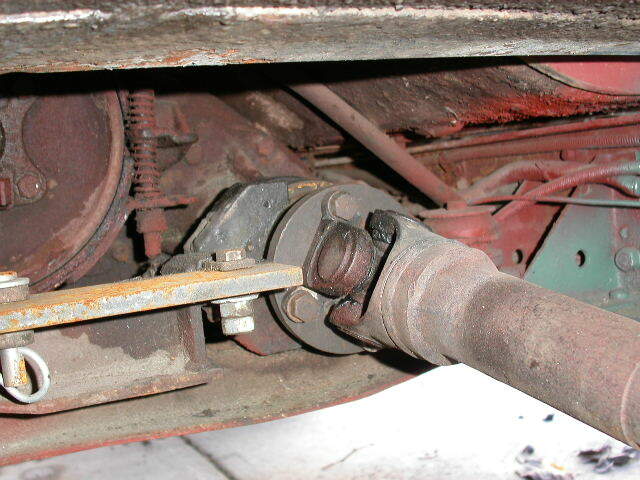 Photo 2 Hydraulic brake lock on line to rear axle. 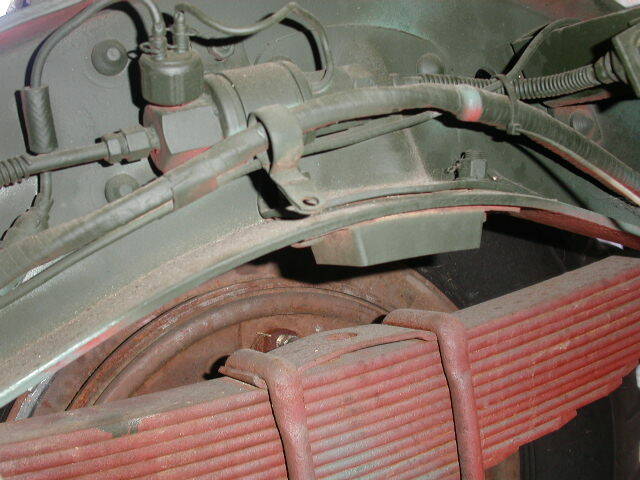 Photos 3-4 Driveshaft de-clutch unit. 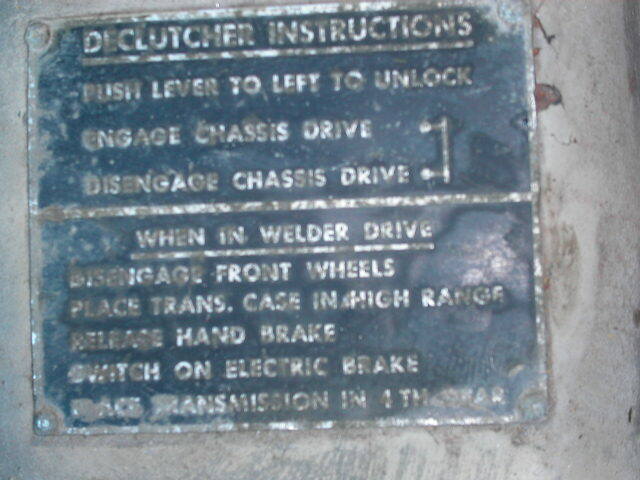 Photo 5 Data plate instructing use of brake lock when engaging de-clutch mechanism (which makes sense considering that the mechanical parking brake is mounted on the back of the transfer case as seen in the upper left corner of photo 3).